Tribus Solvo is Latin for Tribe of the Free. We are followers of Horned, Forest, Fertility and Earth oriented Dieties, Wiccan's, Norse Pagans, Pantheists, walkers of spiritual paths of all manner who gather to share the joy we get in Their service. 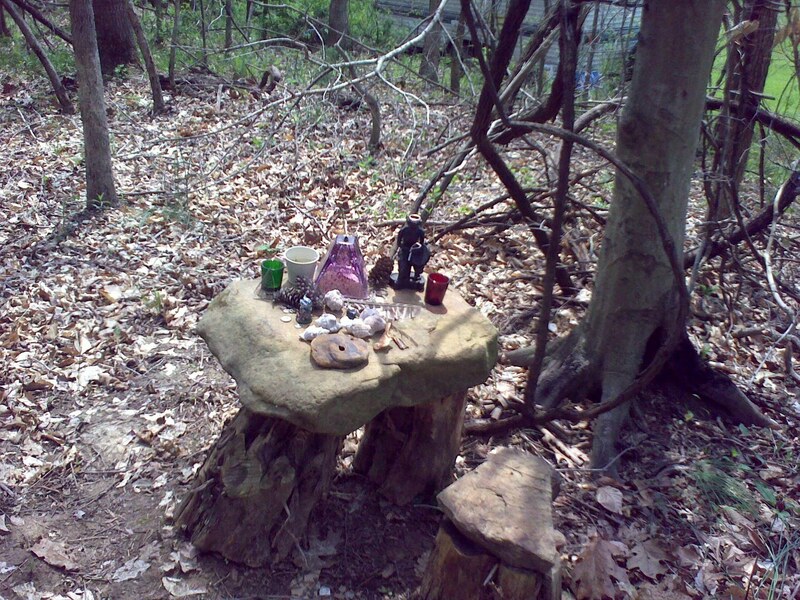 We hold Public Rituals on the Esbats in Indianapolis and nearby counties. We don't cast circle and call the Gods in so we can beg from them. We ask the Gods to join our celebration of life. The purpose of our gatherings and traditions are to supplement personal worship, not supplant them. This is how we do things when we gather as a group. How you do things when you follow your faith is your own choice. Tribus Solvo is a teaching and learning, worship and working group. What specific topics would you like to see classes on? What areas of Paganism, energy work or related disciplines would you like to learn about? We are also the "sponsors" (aka people who do the lifting) in the organizing of Horn & Honey and Labor Day Libertine. This page is dedicated to those efforts and FREEDOM.